Over the last few years, the concept of “cloud computing” has been a hot topic in the IT world. Cloud computing is pretty easy to understand. The “cloud” is a metaphor for the Internet. So cloud computing simply means using software, processing, and storage resources that are “out there” somewhere, instead of on your own computer (or, in the case of a business, on your own computer network). Like most things in computing, this concept is not entirely new. It just has a new name. Back in the late 1960s and early 1970s, it was called “time sharing,” and it was a pretty hot business. But the time-sharing companies eventually were put out of business by the PC, which was cheap enough that everyone could have a powerful computer on their desktop. Now we are going back in the other direction. Computer hardware has gotten so cheap that the cost of the processing horsepower is now a relatively minor component of the total cost. Instead, it is the cost of maintaining and supporting all those computing resources, whether in a home or in a business, that is now more the significant issue. For individuals, this means you either need a geek among your family or friends, or you have to pay one of the services to maintain your PC. For businesses, multiply that cost by tens of thousands of desktops, laptops, and servers, and you quickly come to a major business expense. The economies of scale and organization mean that other businesses can pay Amazon for use of their service, and the cost is much less than doing it themselves. Other businesses now offer complete sets of services in “the cloud,” such as Google Docs, which can replace Microsoft Office, and Salesforce.com, which offers complete customer relationship management without requiring any investment in hardware or software. 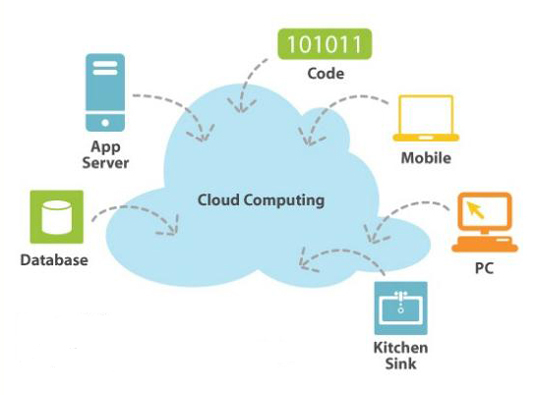 For individuals, the cloud provides limitless and almost free access to computing resources. We can store our photos on Flickr, our videos on YouTube, post our latest musings on Twitter and communicate to our thousands of intimate friends on Facebook. All for free. So, what’s the downside of the cloud? One major negative is that we lose control of our information. As you know (or should know), Facebook claims legal ownership of whatever we upload to them. You have no right to retrieve your information or ability to permanently delete it. Today in the US, it’s easier to subpoena or otherwise compel the release of information held by a third party (such as a cloud provider) than its original owner. And then there are laws such as the Patriot Act, which for some reason allows the government to gain access to personal information residing in a third-party cloud provider without the knowledge of the information owner or data subject. Even the government is stepping into the debate, with the National Institute of Standards and Technology recently releasing new definitions for cloud computing privacy and security. The agency is even recommending ways for the public to manage their security and privacy in the cloud when sharing documents or swapping applications. Something to think about, both as individuals and as a society. Where is all this leading? What’s your opinion?